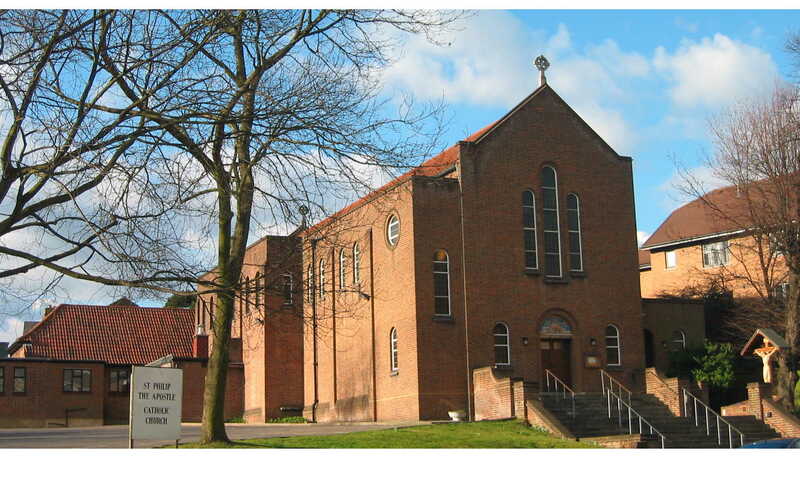 Welcome to the website of St. Philip the Apostle, Finchley Church End, a parish of the Archdiocese of Westminster, in North London. A Catholic parish was established in Church End in 1919. A church at the present location was first opened in 1933, and extended to its present size in 1960. Our parishioners have roots in every continent of the world, and we seek to celebrate the diversity that exists in our community. There is a contrast between our two main Sunday Masses. The 10.00 a.m. Mass is a more traditional liturgy, accompanied by choir and organ. The 12 noon Mass encourages participation by Primary School age children and their families, and tends to be a more lively liturgy. The pastoral and social life of the community is supported by a number of different organisations in the parish. We also have strong links with other churches in the district. A weekly newsletter seeks to keep people informed and encourage participation in parish events. People new to the parish are invited to make themselves known. Pink Registration Forms are available in the church porch. Click on the links at the side of this page to find out more. Thank you for your visit. Fr John Dermody, Parish Priest. For details of Holy Week and Easter services, please see Stop Press or CLICK HERE. are now available on Centenary page. Please either Click on the button on the Menu or click HERE.